Want to show your support for your local game store at your home table? 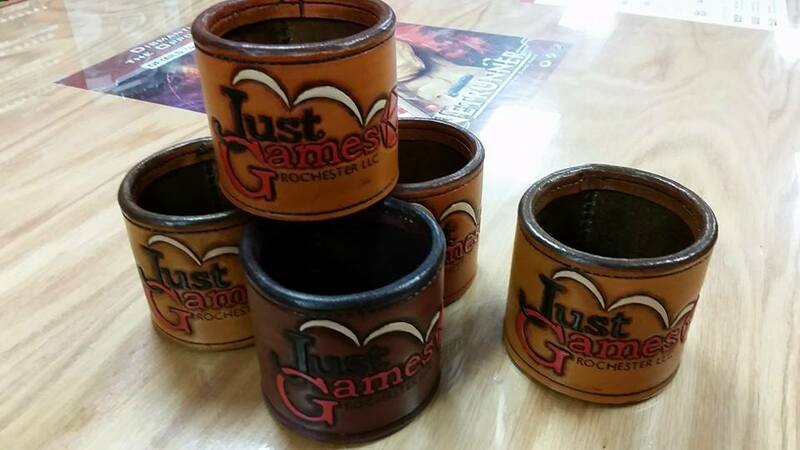 Pick up a hand-made Just Games leather dice cup. Each one is tooled and stitched by hand and comes with a set of high quality Chessex brand dice inside!